My thoughts on the Pharaoh Fuzz....music can touch the soul.. Discussion in 'Effects, Pedals, Strings & Things' started by DanHorse, Feb 8, 2012. I kind of took a gamble on the Pharaoh, I didnt have a set 'slot' or job for it in mind but was taken with the clip on Youtube by Popinthechemist while he was using the Wet Reverb with the Pharaoh. So, I managed to snag one, it was one of the older batches, no Ge option just the diodes in/out option. Why? 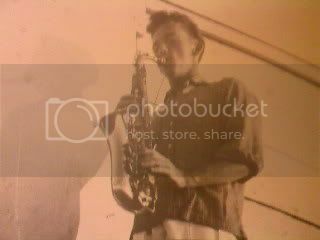 because my late Dad played sax and me sitting there playing soft ambient sax like runs filled me with joy and i must say a tear in my eye in rememberence of my much loved Dad. So thanks to Mark for helping make my musical journeys more personal and exciting! That is just a great story! Thanks man! Glad you dig your Pharaoh. I certainly dig mine. That's a cool story, Dan. It sounds like you might also like the Skreddy Supa Tone. I'm pretty sure that is like a no diode Muff. I have one, and it sounds pretty saxy. Very cool story and very cool pedal. I, too, have the non Ge version (I had a Ge version, also, but I sold that one). It's such a versatile pedal. I mainly use mine into a Marshall style amp run dirty, and with diodes out, the low gain setting and the fuzz maxed, it turns the amp into a massive wall of doom. And, yeah, Mark is definitely one of the good guys!